In Saulkrasti summer arrives with the official raising of the Blue Flag at the Centre bathing spot, the beginning of the bathing season, and lovely open-air events and activities in the fresh air. The Centre bathing spot invites you to Sea Park for a game of beach volleyball or a workout session on the outdoor gym equipment or at the exercising grounds. The little ones can explore the playground while their parents sunbathe on recliners. Seaside Park and Bathing Spot "Centre"
Combine a relaxing day on the beach with healthy, athletic activities! Seaside Park invites you to try the outdoor exercise facilities, playground equipment, gymnastics fields and volleyball courts, go jogging by the sea or simply watch the beautiful sunset from the comfortable sun loungers. Here both children and adults will find exciting activities that suit their interests. In and near the park you will find the Costa del Sol, Mare, Lagūna and Saules dārzs cafés, which offer tasty dishes and refreshing drinks. On windless days head over to the EasySUP.lv SUP board rental place right next to the park. On the SUP board your day will pass in the blink of an eye and you will get a beautiful tan! Stand-up paddle (SUP) board rent "EasySup.lv"
Please call ahead for reservation! If you plan on spending time with friends or children and combining leisure with knowledge, you are welcome to make a token of remembrance under the guidance of Asnate Grēve, as well as visit the most unusual dwelling in Saulkrasti where bicycles live – Saulkrasti Bicycle Museum. We invite all interested people to come and join us in our creative workshop. Please make a reservation in advance! The rich bicycle collection of Jānis and Guntis Seregins is on display at the museum that they decided to open. It features the technically most interesting examples of the historical development of bicycles found in Latvia. The museum also holds a rich collection of articles related to bicycle use, cycling and cycling associations. Working hours: (V-IX) 10.00–18.00, (X-IV) - please make a reservation in advance! For fun and summery bicycle trips go to one of the bicycle rental places in Saulkrasti – Saulkrasti Bicycle Rental or VeloDžeks. The Historical Resorts and Meditation in the Seaside Nature tourism guide of Saulkrasti will come in handy. For longer trips we recommend taking the longer bicycle route No. 109, or the Palace and Manor Route. There is a new variety of choice of female and male city bicycles, children's bicycles of various sizes, baby seats and helmets. Good prices! We also offer better prices for those clients who are renting bicycles for a longer period of time. The repair shop offers bicycle repair, maintenance and to eliminate any other defects or problems for bicycles of any type or modification. A wide range of spare parts and accessories, always at good prices. Please make a reservation in advance! Bicycle rent, service and accessories shop. Child bike seat - 3€ and child helmet for free (24h). However, if you would rather spend your time creatively, we recommend taking a painting class at JD Art klubs. Creative souls can draw inspiration while on walks to the stony beach of Zvejniekciems and the Northern Pier of Skulte Port. The club is established for people who like to paint or draw models, portraits and still life. Anyone who is 15–115 years old can be a club member. Everyone whose hobby is art, is welcome to join us and to meet other artists and develop an individual art space in Saulkrasti. Come and see the workshops of the Latvian artists! In the 19th century, on the seacoast of Skulte, a small village was formed populated mostly by fishermen. The name of the village also attributes to this profession (in Latvian "Zvejniekciems" means "fishermen's village"). In 1967 the village of Zvejniekciems was added to Saulkrasti. Skulte Port, established on 7 October, 1939, is located in Zvejniekciems. The monument stone chosen by the Latvian politician Kārlis Ulmanis to commemorate the construction of the port is still standing, and the port is still successfully operating. Between Skulte Port and Saulkrasti Beach is the stony seaside of Zvejniekciems. It is a place for creative spirits, where you can draw inspiration from the reflections of summer, listen to the soft whispering of pine trees in autumn, or be alone with your thoughts in the icy air of winter or the hopeful spring. We recommend both architecture enthusiasts who are interested in the heritage of Marta Staņa, and those who wish to enjoy horseback riding in nature, to visit Zvejniekciems. The Across Four Rivers guide will be a great aid on your walk in Zvejniekciems. It was designed by the excellent architect Marta Staņa (1913–1972) in the mid-20th century for the use of the collective farm "Zvejnieks". The architect worked in a functionalism style (the Dailes Theatre in Riga is another of her creations). The foundations of the building were laid in 1952, but due to a lack of materials it took five years to construct. When the palace was opened on 8 November 1956, it was one of the most modern buildings not only in the Riga region, but also the whole of Latvia. The central space of the building is the big hall which can hold 700 spectators. Other buildings Marta Staņa designed in Zvejniekciems include two blocks of flats for teachers, Zvejniekciems Secondary School and a summer house for the Postaži family of artists. Horse rides and cart trips "Saules zirgi"
Riding on the seashore, over terrain or in a safe paddock – rides in various types of carts, pony rides for children. Photo sessions with horses for newlyweds, anniversaries, hen/stag parties, etc. on the seashore or in the forest. Rides for wedding-guests, photo sessions in "droška" cart or trolley type high cart with a white horse. We can drive to the venues of your events. Please make a reservation in advance! If you are drawn to beautiful sceneries of the sea, rivers and dunes, go for a walk on the approximately 4 km long Sunset Trail, which stretches from the White Dune to the centre of Saulkrasti. If you wish to enjoy the benefits of a healthy walk and the fresh sea air, take the 3.6 km long forest trail that stretches alongside the sea coast from the White Dune to Sun Bridge. On the way you will see a sandy beach and a peaceful seaside forest, where you can find 20 grand pine trees– some of them as old as 200 years. Remember to keep your eyes and ears open for birds, small animals and other surprises. If you are lucky, you might even see the tiny, protected longhorn beetle – Nothorhina punctata. Young people will definitely enjoy the Bušas paintball park, where one can not only get active in teams and cook tasty fish soup, but also make use of tent sites and the bathhouse. Paintball park and active recreation camping "Bušas" offers adrenaline fever in a professionally developed paintball field and relaxation in bathhouse apartments after a thrilling paintball game. We organise corporate events and birthday parties for children. Professional equipment and respectful staff will help you to have a good time. To make sure you have enough energy for the whole day, enjoy buns and dishes made with love at the local bakeries and cafés! Goods from Latvian farmsteads can be found at the Cietais rieksts Square market. Vegetables, fruits and berries, smoked, salted and dried meat products, fish products, dairy products, cereals and bread, honey, flowers, seeds, seedlings, applied arts and craft items, etc. from Latvia. Take special care of your well-being by visiting the beauty parlours and spas of Saulkrasti! The specialists of the salon work by prior arrangement. The specialists work by appointment. "Skaistuma terase" is a special place where dwells peace, harmony, well-being and true care for you. A place where you can indulge in unhurried self-pampering. The hands of our beauticians in combination with their knowledge, experience and high end makeup do wonders for your skin and mood. Visits to the specialists in the salon by appointment. 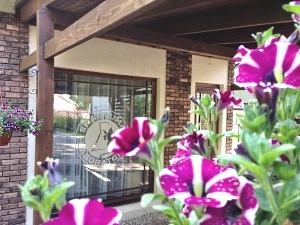 "Skaistuma Laboratorija" offering beauty, massage, hairdressing and nail care specialists' services. The salon is equipped with modern equipment, offering high-quality services (using GUINOT and CHRISTINA products) for very attractive prices. Beauty Laboratory Ltd. is owned by Linda Zeltina who herself is a practicing beautician and a teacher of International CIDESCO Riga Beauty School - the leading beauty school in Latvia where new beauticians are trained. Because of her long-term practical experience and theoretical knowledge Linda is offering only the highest quality services to the clients of her salon. The specialists of the salon work by prior arrangement. At this beautician private practice, you will be pampered by certified beauty specialists with the highest level of education in Latvia. They will choose the most suitable procedures and take the best care of you. We work with professional French cosmetics Thalion, which are based on the diversity of marine plants and extracts of coastal plants. It is a unique investment in your health that will ensure proper functioning of your body. Discover the benefits of the sea for a healthy body and beautiful skin through our products that have been inspired by the ecological environment of the sea. We also offer nail specialist services. A great event for a family of friends. Cold prevention. Better mood and less tiredness. The service is also suitable for experienced bathhouse visitors and athletes. The procedure strengthens muscular tonus and promotes the discharge of body contaminating elements. 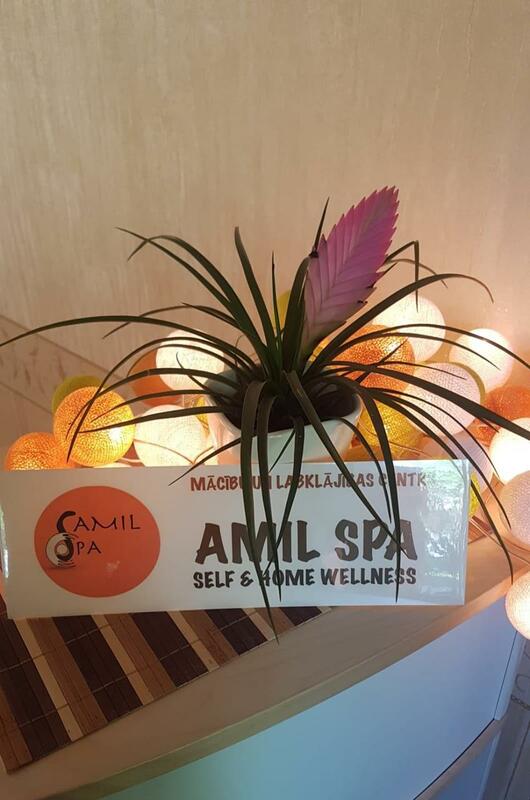 AMIL SPA - Welfare Center. Body - mind, soul, spirit - home. The center of unconventional and alternative therapies, which offers body treatments and holistic procedures, massages; informal theoretical and practical lectures, adult non-formal education, counseling; Home aromatherapy cleaning and Your environment energy balancing by Vastu Shastra principles. If the day is over but you don't feel like leaving yet, you are welcome to make use of the Saulkrasti Municipality accommodations! Post photos of your summer moments on the social platform Instagram. If you add #Saulkrasti in the description, we will repost them on our own profile at instagram.com/saulkrastic to give others a taste of the unforgettable moments one can enjoy at Saulkrasti. Classes take place next to the paintball park "Bušas", d/s "Roze". Yoga classes are led by experienced instructors certified by the Latvian Association of Holistic Medicine and Naturopathy. To book group or individual classes call +371 29589565! Zvejniekciems Mini Skate park is located beside the Zvejniekciems Secondary School and the playground for children in the stadium territory. Saulkrasti open-air stage is located next to the once famous Neibāde resort. There is a memorial column, erected in 1877 by August von Pistolkorss in honour of Karl von Reutern, the founder of Neibāde. Nowadays Saulkrasti open-air stage is a place that attracts many visitors from all over Latvia during the summer. Most of the famous local artists have performed here during the last three years. Every year a concert is organised in loving memory of E. Liepiņš on Saulkrasti open-air stage and people are invited to the musical celebrations in honour of U. Duka. However the most popular events are the Saulkrasti city celebrations. Sun Square – it is the centre of today's Saulkrasti. For the last four years it has been a popular place for the people of Saulkrasti and visitors to celebrate events like the Declaration of Independence Day of Latvia, the summer season opening party, Līgo celebrations, Balts Unity Day and New Year's Eve. This year the new, well-organised environment – the stage, the dance area of original form, lights and the close location to the sea has attracted jazz and classical music fans as well as those preferring active recreation.